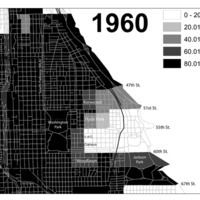 These three maps for the south side of Chicago illustrate the stark color line separating the Black Belt neighborhoods from white neighborhoods in the city. 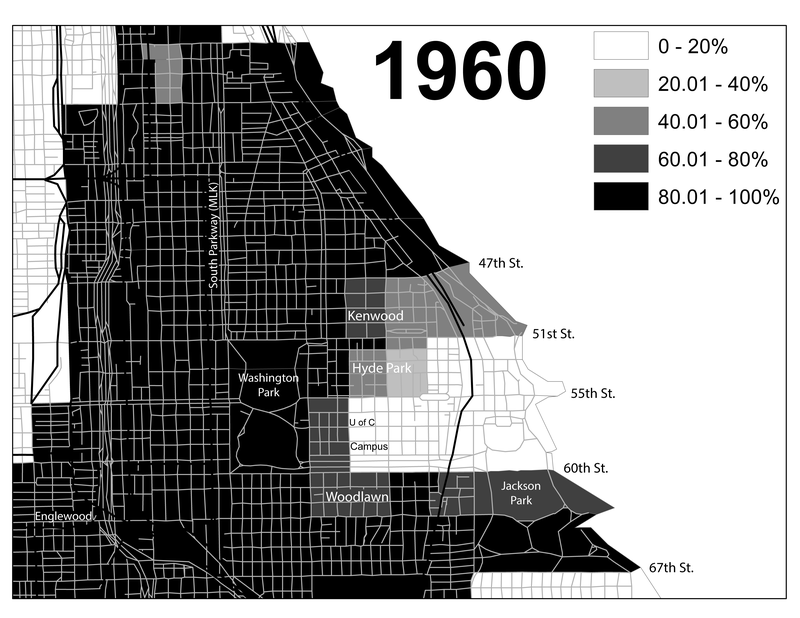 Even as the African American population grew in the Great Migration, the city remained segregated. 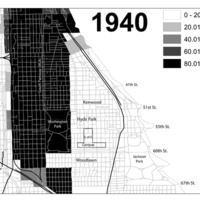 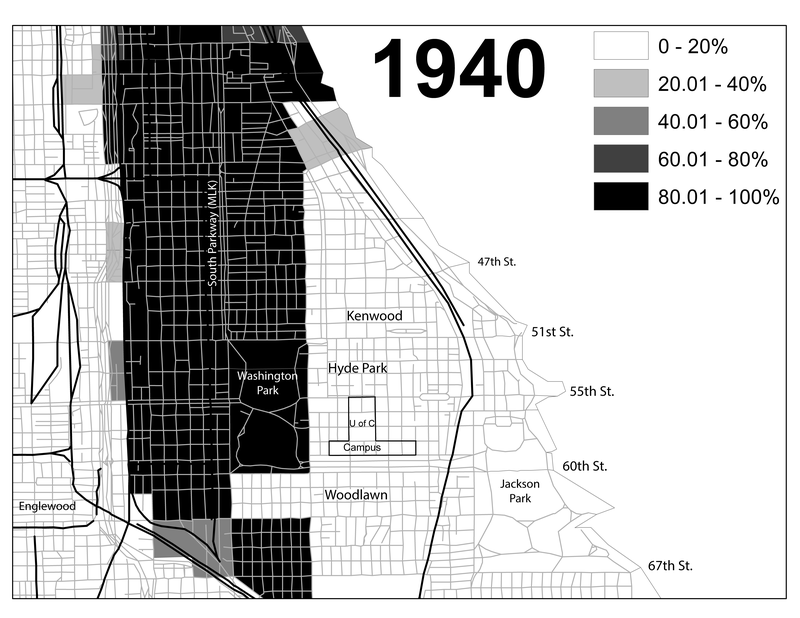 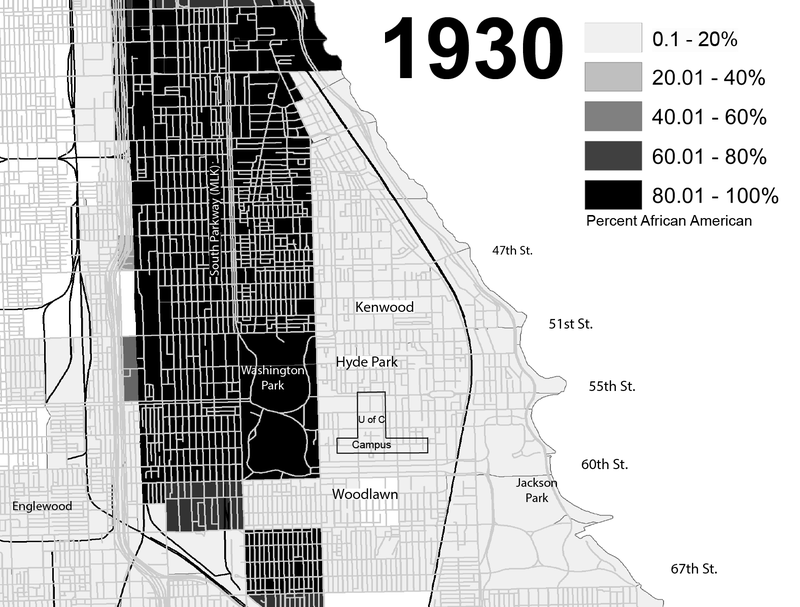 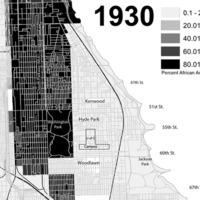 “Chicago's Black Belt, 1930, 1940, and 1960,” Redlining Virginia, accessed April 23, 2019, http://www.redliningvirginia.org/items/show/6.